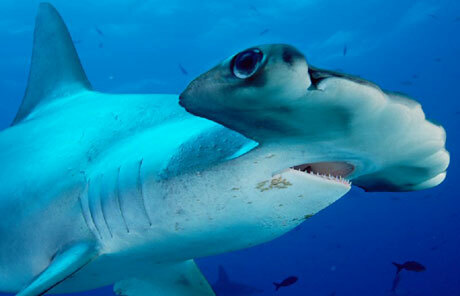 The hammerhead sharks can be recognized by their flat hammer-shaped head, called cephalophoil. 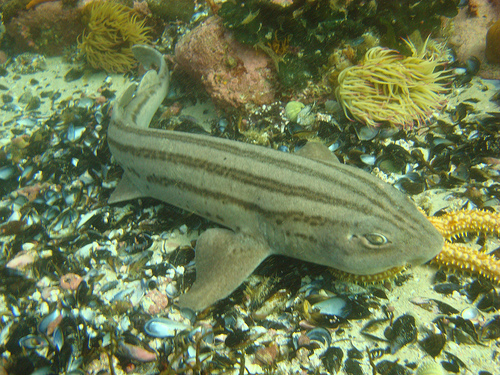 The use of the cephalophoil is unknown, although scientists suggest it maximizes the area of the shark’s sensory organs. The Great Hammerhead Shark is the largest of the hammerhead sharks, reaching up to 6.1 metres in length and weighing up to 450 kilograms. The Great Hammerhead shark inhabits tropical waters around the world, and can be found over the continental shelves, island terraces and in shelves and lagoons. 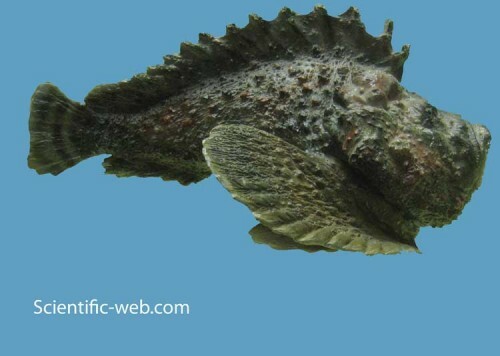 Although they prefer coral reefs, they can be found in any part of the warmer waters. These sharks are also known to migrate closer to the poles during summer months. They feed on a variety of tropic sea inhabitants, their favourite being the stingray, although they won’t pass an odd catfish, squid or a smaller shark. The Great Hammerheads are also cannibalistic as they eat members of their own species. 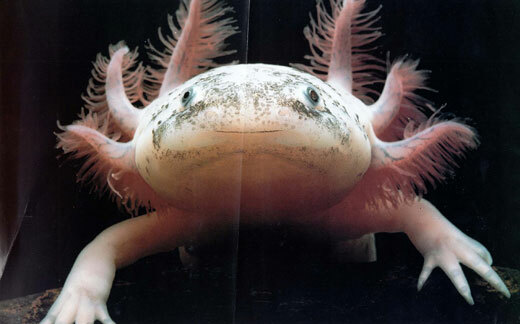 Their hammer-shaped heads (the cephalophoils) are occasionally used during feeding, as an offensive tool for prey handling. Other than that, their feeding habits are close to those of the other sharks – they scan areas for potential prey, using rapid movement to sneak up to it and immobilize it as quickly as possible with the massive teeth. Great Hammerhead Sharks are known to be solitary and nomadic, roaming vast territories in search of food, relying mostly on their keen sense of smell. Unlike most sharks, the Great Hammerheads mate near the surface of the water. After a gestation period of seven to eleven months, an average of 20-40 pups are given birth. As all sharks, they are viviparious, which means that eggs hatch inside the mother and are fed by the placenta until their birth. Although massive in size and potentially dangerous, the Great Hammerhead Sharks rarely target humans, as they usually feed on smaller creatures. Mature hammerheads have no natural predators, although pups are preyed upon by many sea predators including older members of the same species. The Great Hammerheads are listed as “Endangered” by the IUCN and a population decline has been observed worldwide. 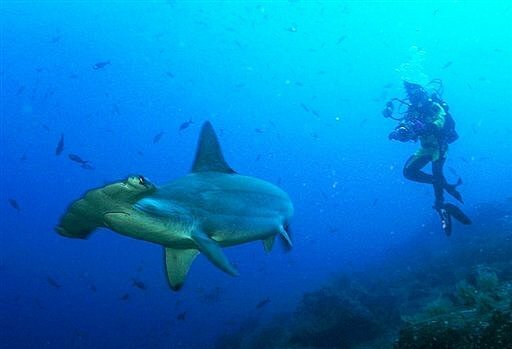 Their population has decreased by 50% since the 1990s, as a result of increase in fishery, resulting in many hammerheads getting trapped in the nets. Sometimes they’re also specifically targeted and fished, as there’s an increasing demand in the Asian market for shark fin soup. The Great Hammerhead Shark has obtained an untruthful reputation of being an aggressive shark that’s a threat to humans, although it’s far from the truth. In reality, they’re just a large sea predator that is suffering greatly from overfishing and their population is decreasing every year. So far, no actions have been taken in relation to the conservation of the Great Hammerhead Shark specifically and fishing is still threatened by commercial fishing. My son called me tonight and said that he had ran into one of these awesome creatures today and it scared him, now I see why, beautiful animal!! !